As the weather starts to cool down and the days become a little chillier, now is the best time to stock up on some fashionable lightweight jackets for this Fall season! At NYFifth, we have a plethora of jackets that are not only stylish, but also inexpensive! These jackets can also be customized with your logo or company named embroidered onto these jackets — in turn, these jackets would also make great gifts to give your company for the holidays! If you’re looking for a fleece pullover sweater, then this is the one! Harriton is known for their easy, comfortable fitting and quality men and women’s apparel for uniform or casual wear — and their Quarter Zip Fleece Pullover is no exception. Made from 100% soft spun polyester mid-weight fleece, this jacket was designed to keep you warm throughout the cold fall and winter seasons. If you’re looking for a lightweight jacket that can be easily stored, check out the UltraClub 1/4 Zip Hooded Pullover Pack Away Jacket! Available in various colors, this jacket is made of 100% nylon that features a snorkel drawstring hood and bottom with barrel stoppers. Also, this jacket can be easily packed away into the front pouch for easy storage or if you’re on-the-go. 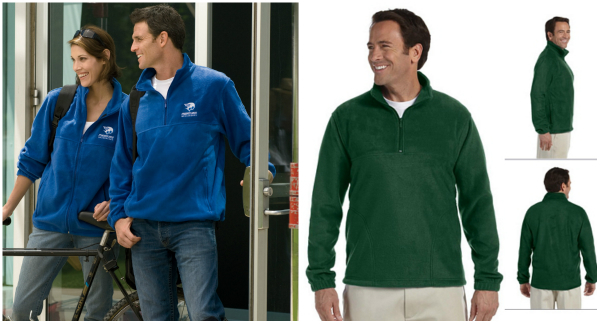 A Fall essential that every one should own is a comfortable fleece jacket! One of our favorites is the FeatherLite Moisture Resistant Mircofleece Full-Zip Jacket! 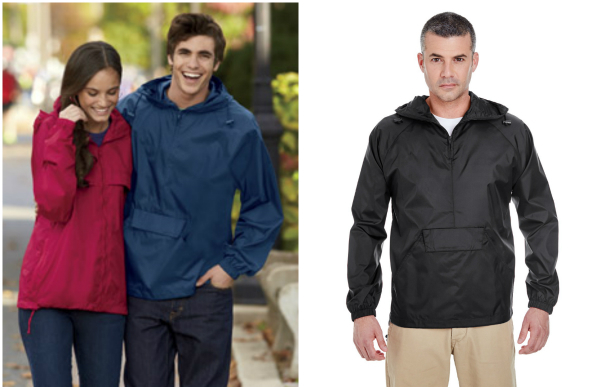 This jacket combines functionality and comfort, as it is made of 100% polyester, moisture-resistant, and features nylon-reinforced zipped pockets. Port Authority is a trusted and well sought-after brand that offer high-quality apparel at affordable prices. 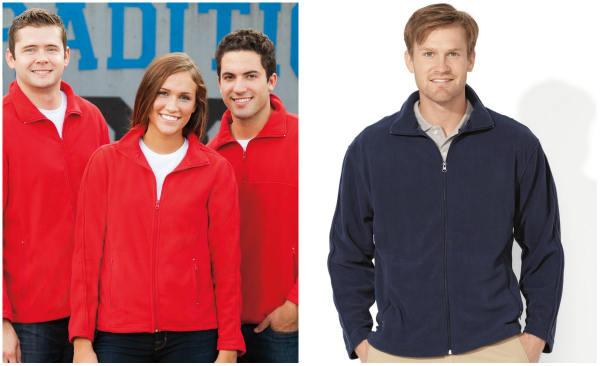 Their Zephyr Full Zip Jackets are becoming a customer favorite! Zephyr style merges wind and water-resisting performance with a silky smooth hand. This unlined piece is easy to wear over base or thermal layers. The modern sleek details offer instant appeal! 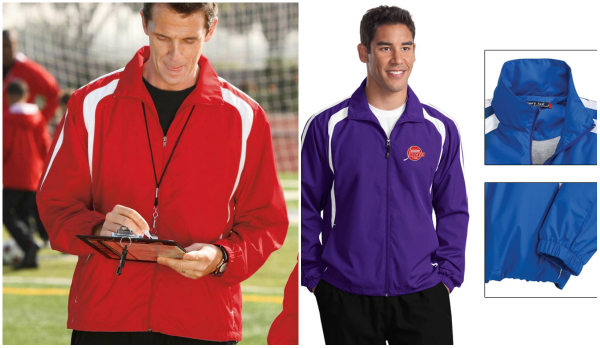 If you’re looking for a sporty jacket, our Sport-Tek Colorblock Raglan Jacket is great for any sporting event! A lightweight top layer, this water-repellent jacket takes on unpredictable weather with athletic color blocking, superb functionality and exceptional breathability. All our outerwear can be customized to include your name, monogram, or image — which, in turn, would make a great personalized gift for the holidays! 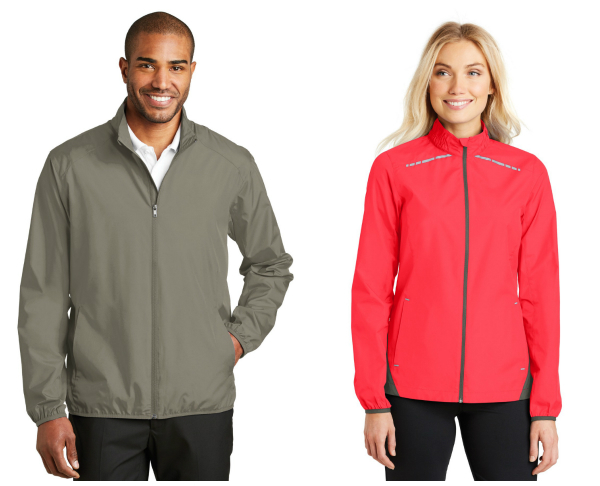 Embroider your company logo or name on any of these jackets to make these amazing corporate outerwear gifts to give your hard-working employees. Which one will you be adding to your wardrobe this Fall? Comment below to let us know!